Trees can make or break the appearance of your entire landscape. It needs to be properly maintained so that it would be an asset to your property. Trees need to be regularly trimmed to keep them healthy. Pruning or trimming will not only ensure the health of your tree but also for aesthetic reasons. Trees that are left untrimmed can easily become hazardous, especially if the tree is over 15-20 years old. Moreover, trees that touch your residence or business will most likely deny you of claims from your homeowner's insurance policy. The process of trimming a tree involves both art and science. Anyone can learn the process of tree trimming but only experienced professionals can handle the art part of it. If a tree is over-trimmed there is a risk of it being diseased and it will not be pleasing to the eye. On the other hand, if a tree is not regularly trimmed, it will also be at risk of not being healthy and being hazardous. Simply put, tree trimming can significantly improve the health and aesthetics of your tree and your overall landscape. Every type of tree requires a different treatment from the others. Some factors to consider would be its age and the shape of its crown. 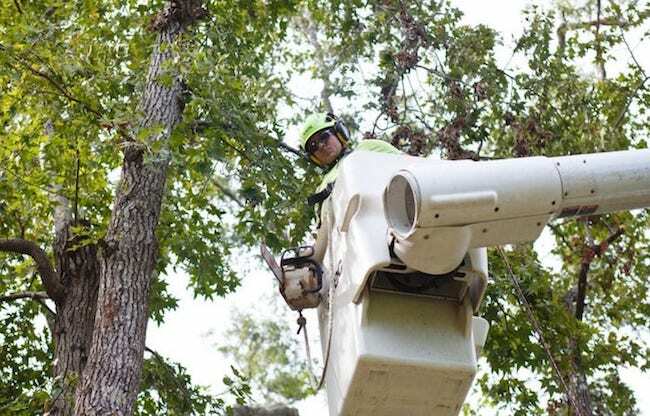 During the process of tree trimming, the arborists should give you advice as to the condition and health of your tree. Most trees would benefit from trimming. However, only a few people realize its worth and don't trim or at least prune their trees. ​ Routine trimming can prevent the many tree-related issues that require them to be removed. In trimming trees, strict guidelines should be followed. 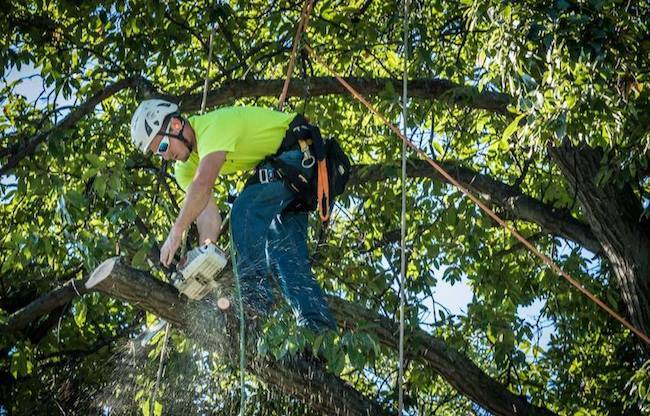 Arbor Day Foundation sets a high standard when it comes to tree trimming that arborists should follow. There should be a structured approach when it comes to cutting branches and limbs. The arborist should make sure that it is not cut too close to the primary trunk. Further, the Arbor Day Foundation advises that trees be pruned annually during the dormant season. However, if a tree's growth causes danger for people and properties, then there is no better option but to have it trimmed immediately. ​The most important thing to consider when trimming a tree is safety. The best way to ensure safety is to hire professional arborists to handle the job for you. Trimming typically requires climbing harnesses or a ladder which can put anyone in danger. Especially if the tree is close a power line. Tree service professionals will assess the tree you wished to be trimmed before beginning the process. This is important to know how much trimming should be done to your tree. You should be provided with a quote that will include all important details of the work to be done. If you agree to it, you should expect a written estimate together with their license and insurance information. This is something you should always ask because you should only trust a company that is licensed, bonded, and insured. Only companies who have this documentation can be trusted and will not leave you liable for any damages in case an accident happens while they work in your property. Call the tree service West Chester trusts to professionally yet affordably trim your landscape trees.